This project required a scope before the methodology was chosen. In order to define the scope, it was necessary for Delta and MemTech Registered Installers, Anglia Property Preservation Ltd to establish the project objectives. 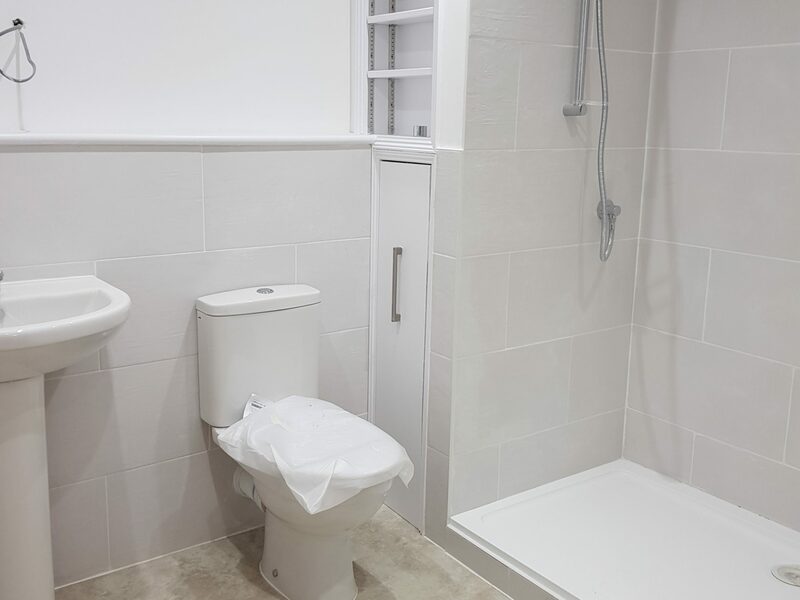 Anglia Property Preservation Ltd were first approach to assist on a damp proofing solution for the project. The project was to convert a former vehicle maintenance and repair workshop into a dwelling. The workshop was of a sold wall construction (brickwork), the roof had been removed and all internal walls were painted. Ground tests did not reveal any significant level of Volatile organic compounds (VOC’s) in the soil but the local authority required a gas membrane to be installed and independently verified. Volatile Organic Compounds (VOCs) are organic compounds that easily volatise under normal atmospheric conditions/environments to become vapours or gases. Along with carbon, they contain elements such as hydrogen, oxygen, fluorine, chlorine, bromine, sulphur or nitrogen. Typical VOCs encountered on brownfield and industrial sites include: Petroleum, benzene, toluene, butylbenzenes, chlorinated ethenes, Nitrogen, sulphur and tetrahydrofuran. VOCs in the air react with oxides of nitrogen in the presence of sunlight to form ozone. 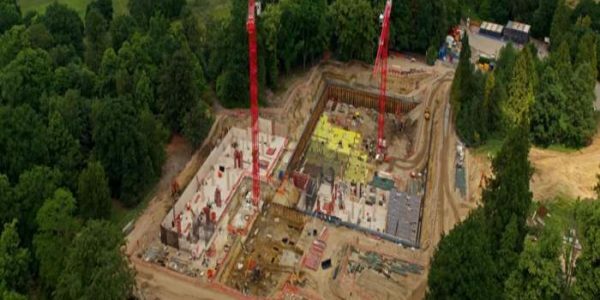 Considering the nature of the property and the risk from ground gases, Anglia Property Preservation Ltd provided a specification combining waterproofing and ground gas remediation, as well as providing an insurance-backed installation guarantee. Old buildings are often built of masonry with lime mortar which may suffer small movement cracking over the years. This movement can sometimes be increased where alterations are carried out or cement slurry or multi coat render tanking systems are used thereby making them at a greater risk of a defect occurring and possibly allowing water penetration to occur. 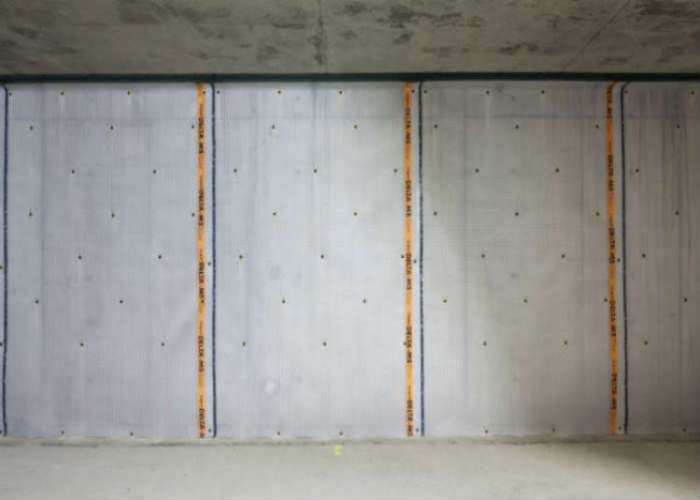 One of the main advantages of cavity drain membranes over cementitious systems is that they do not stop water at the point of entry, so hydrostatic pressure is not increased any more that it would be without a waterproofing system. Because the status quo is not altered, stresses are not induced in the substrate other than those which would be induced anyway. For this reason, it is often possible to retain substrates which would have to be replaced when using a cementitious system, and yet still comply with BS 8102:2009. 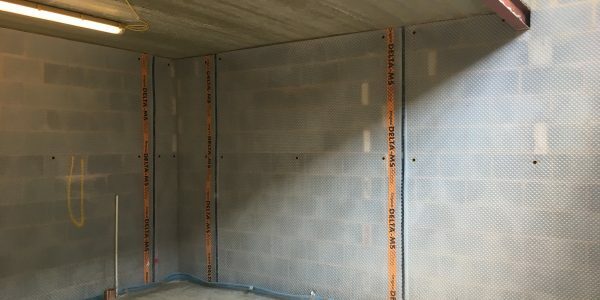 The Delta system is an extruded HDPE membrane with 8/20mm studs, which allows water vapour (dampness) to move in all directions across the whole of the wall and floor surfaces, thereby achieving damp pressure equalisation. Weak spots are therefore eliminated. Prior to commencement of treatment the brickwork was sandblasted to remove all paint. The mortar joints were then raked out & repointed with Koster Repair Mortar Plus & SB Bonding Emulsion. The original flooring was broken up and a new concrete floor laid to the architect’s specification with a channel formed along the side where the wall was earth retaining for the Delta drainage channel to be fitted in. 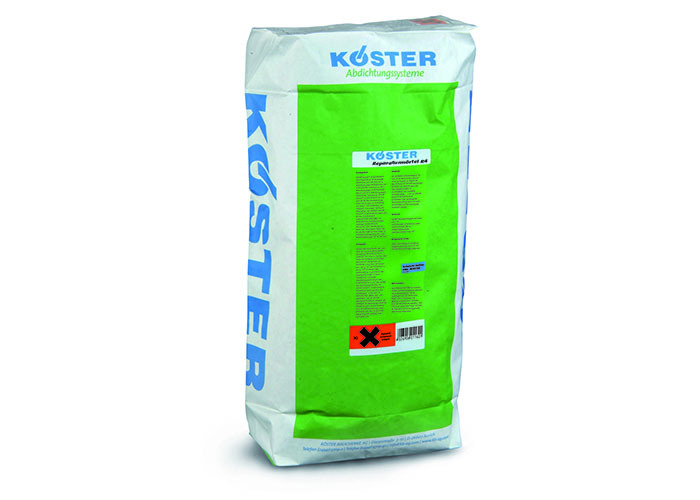 A cavetto was formed at the wall/floor joint of all walls, using Koster Repair Mortar. 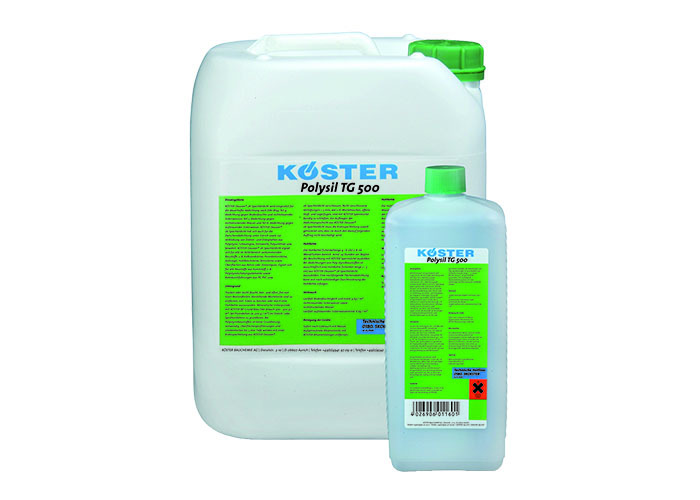 A Koster Polysil TG500 priming coat was applied over the new concrete slab to reduce the risk of excess free lime leaching out during the curing process followed by 2 coats of MemTech Pro LGB including into the drainage channel area, which was reinforced with MemTech Flexi Tape. 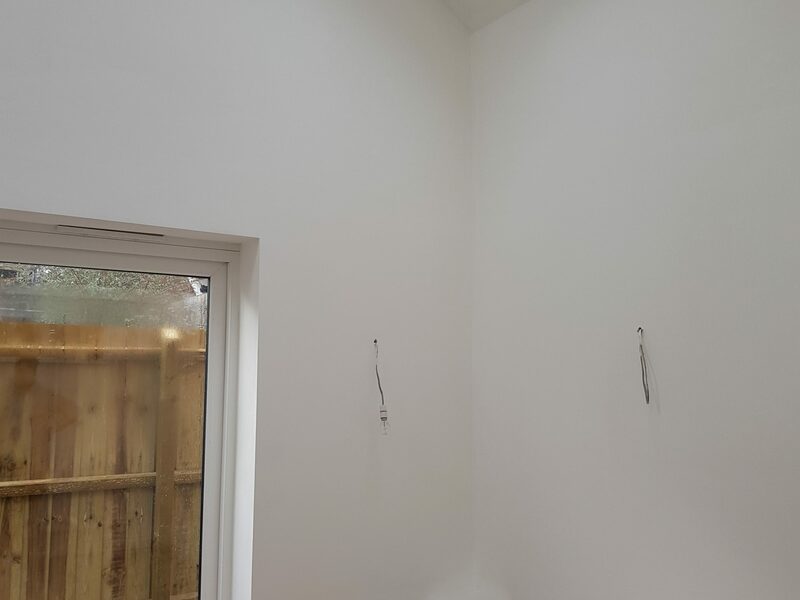 The application of MemTech Pro LGB was continued up the walls to a height of 1.5 metres. MemTech LGB is a ready for use specialist styrene butadiene latex based liquid applied gas membrane. 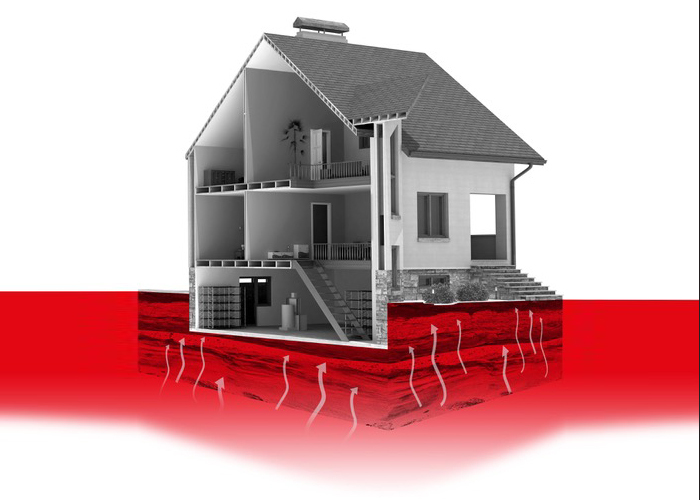 It offers a simple, continuous passive gas prevention barrier against the ingress of Methane, Carbon Dioxide, Radon, Ground Gas, VOC, air & moisture into buildings. 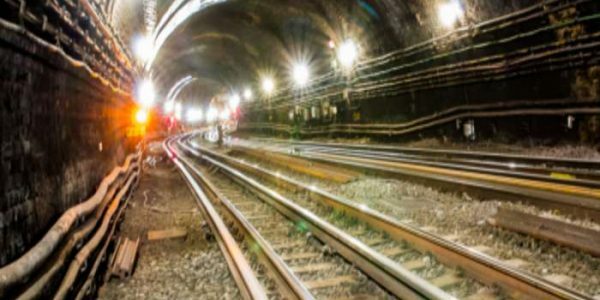 MemTech LGB complies with the latest codes of practice as published by BR211, CIRIA and BSI (BS 8485:2015+A1:2019). 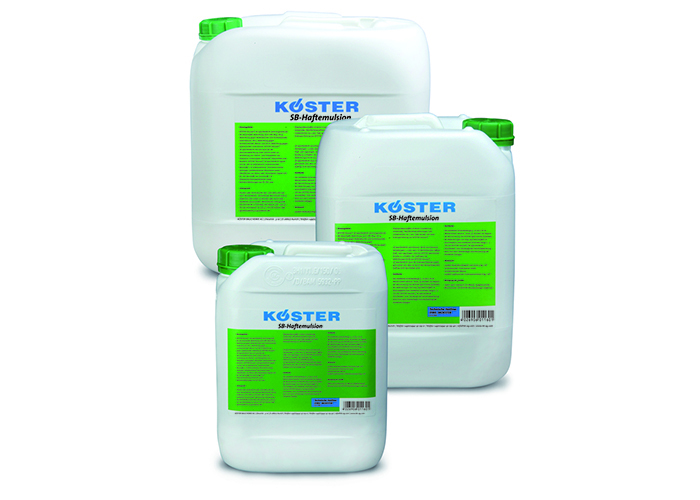 Suitable for use as gas protection for NHBC GREEN, AMBER 1, and AMBER 2 site characterisations. Delta MS 500 membrane was applied to the wall surfaces with fixings use a sealed brick-plug using Koster PU 907 sealant. 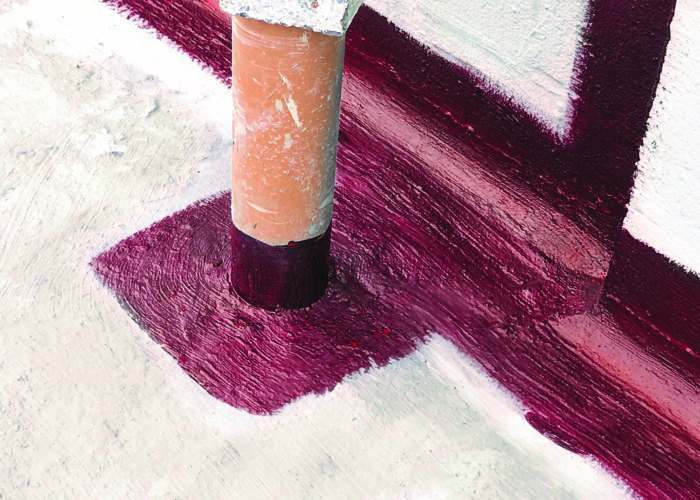 The plug has a dual purpose: to fix the membrane system to the wall surfaces, and battens can then be secured into it with no need to pierce the system further. The top edge of the membrane was sealed with sealing rope/tape. The Delta drainage channel was installed into the channel along the retaining wall side with a flushing point at the end of the run. Delta MS20 (20mm stud) studded membrane was laid over the floor and sealed to the wall membrane. 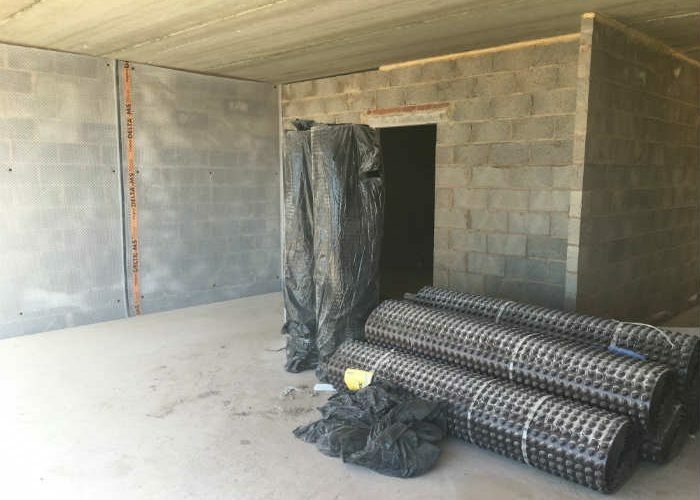 Anglia Property Preservation Ltd were able to provide both a damp-proofing and Ground Gas Protection System on time and on budget to this project. Throughout the project Anglia Property Preservation Ltd working closely with the Architect and lead contractor to ensure the project ran smoothly and that an independent verification certificate for the gas barrier installation would be obtained.